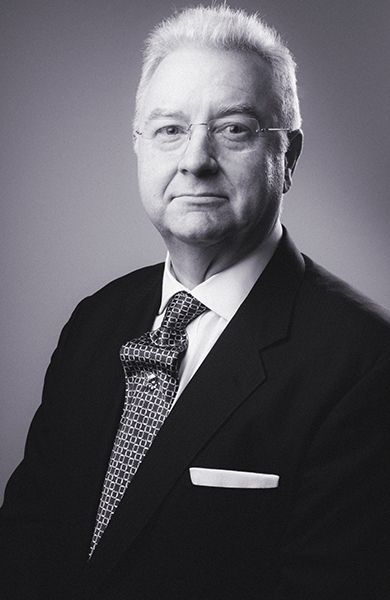 Steven Sprague is a Solicitor of the Senior Courts of England and Wales (1985), an Avvocato at the Milan Bar (2017) and a CEDR Accredited Mediator (2014). Steven Sprague advises in connection with international development and investment and trade and business in a number of sectors including retail, manufacturing, energy, natural resources and infrastructure. Before joining CastaldiPartners Steven Sprague was a member of a number of leading international law firms in the City and has lived and worked professionally in a number of countries and jurisdictions, most notably the Russian Federation and other CIS countries. Steven Sprague advises in relation to energy, natural resources and infrastructure projects from international acquisition, the construction and operation of power plant, as well as the legal aspects of commerce and business, including cross border mergers and acquisitions, joint ventures and direct foreign investment and the internationalization of enterprises and businesses. His working languages are English, French, Italian, Russian and Spanish. Advising a listed French telecommunications enterprise in connection with the sale of services and the divestment of non-core business. Advising a listed Belgian company in the divestment of subsidiaries in a number of EU member states. Advising an Italian natural resources company in relation to acquisitions and joint ventures in Spain, Turkey, Russia and China. Advising a French listed company in relation to the acquisition of a specialty manufacturing company in Italy. Advising a Swiss pharmaceutical company in its acquisition of a UK based producer. Advising a Slovak IT company in its acquisition of a UK based operator. Advising a major European insurance company in connection with international litigation in Italy and the UK. Assisting a leading Italian electronics group to acquire a controlling interest in its UK subsidiary. Assisting a major UK retail chain in connection with the pan European launch of a major retailer involving the opening of a significant number of retail outlets in locations situated in various European territories and jurisdictions. Advising Italian furniture and design companies in connection with the development of their business in London. Advising an Italian energy company in relation the mediation of a dispute involving parties from different EU jurisdictions. Advising a number of European utilities in relation to the construction and operation of large scale generation power plant in the United Kingdom, Turkey, Uganda and Albania and in the sale, trading and supply of generated power (including derivative instruments and climate change certificates and CDM projects and sale and purchase of CER’s) and CCS. Advising an Italian construction company in connection with the construction, maintenance and management of infrastructure in the Middle East. Advising the UK rail regulator and private companies in relation to the transportation of goods by rail in the UK and in connection with transiting the Channel Tunnel. Steven regularly undertakes teaching engagements on topics related to international business and associated legal issues. He was a regular lecturer at the Moscow International Business School where he lectured on international oil and gas regimes. He is a regular lecturer at the Sole 24 Ore Business School and lectures on international contracts and negotiation. Steven is a Board Member and a member of the Executive Committee of ASLA – the Italian Association of Associated Law Firms. The association represents all major Italian and international law firms active in Italy. Steven is co-author of “Common Law Contract Law: A practical guide for the civil law lawyer” (Wolters Kluwer 2015 - ISBN: 978-88-217-5154-7, 978-88-217-5184-4).